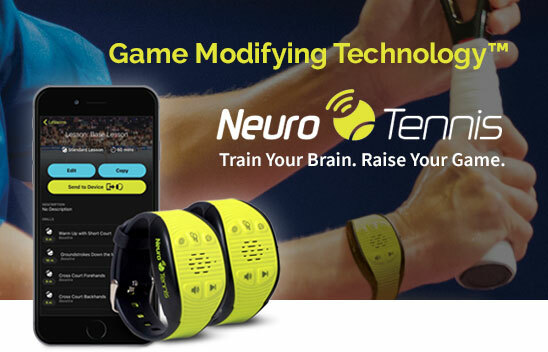 Neuro Tennis. Provides instantaneous auditory feedback/commands while you play. No Food or Lodging Expenses. Find out more about our lesson packages and custom clinics. 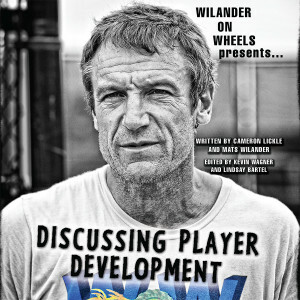 A preview of the WOW experience. 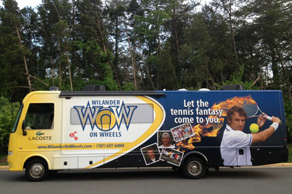 Email wow at wow@wilanderonwheels.com or call 787-438-4263. Reservations taken on a first come first serve basis. Formally the #1 tennis player in the world. 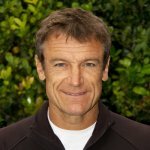 During his illustrious career, Mats won 7 Grand Slam singles titles (3 at the French Open, 3 at the Australian Open and 1 US Open) and 1 Grand Slam men’s doubles title at Wimbledon with Joakim Nystrom. He finished 1988 ranked #1 in the world. Inducted into the International Tennis Hall of Fame in 2002. He also helped Sweden win The Davis Cup Tournament in 1984,1985 and 1987. 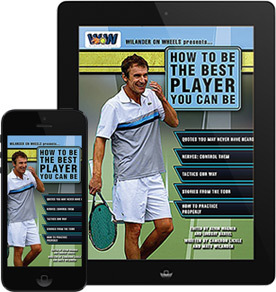 Watch this video about Mats Wilander from the Hall of Fame. A graduate of the United States Naval Academy in 2003. 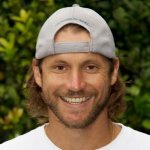 Captain of the Naval Academy’s tennis team in 2002 & 2003. Ranked #1 while at the Naval Academy. Was selected to serve as “Captain of the Captains” by all other sports team Captains in 2003. Inducted to the Naval Acedmy Hall of Fame in 2003. Served five years in the US Navy and two tours to the Gulf in Support of Operation Iraqi and Enduring Freedom. Current CEO of WOW Sports Inc and Coach and Agent to Wimbledon Junior semi-finalist Chinese Tennis player Mu Tao. Eruditi ponderum duo ea. An vix diam graece delet. Ei eam orati tineam. Mnesarchum intellegebat duo id, eius dicat per at. Soluta expetendis conclu daturque mea ad, aperir lab. Let us bring the fantasy camp experience to your backyard. WOW offers Full Day, Half Day and Custom packages. 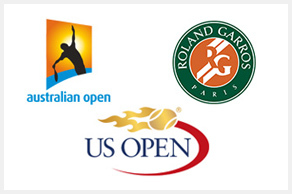 Hit with us at the 2018 Australian, French and US Open! 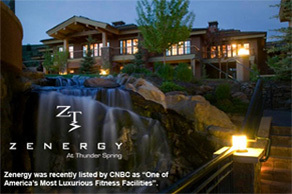 Join Mats and Cameron at Zenergy Health Club & Spa in Sun Valley, Idaho and stay at the one-of-a-kind Knob Hill Inn. Book your trip now!